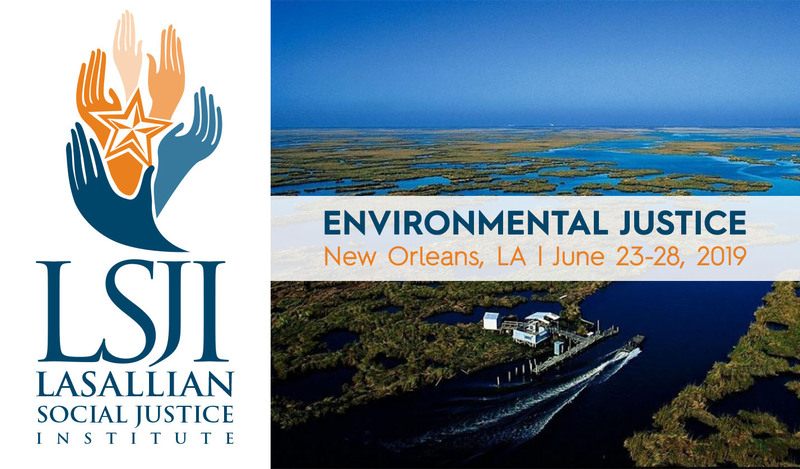 LSJI 2019 will explore issues related to the environment in New Orleans, Louisiana. Participants will spend time in the wetland areas and learn about the ecological sensitivities of the Louisiana coast. Opportunities of LSJI will include engaging and serving with organizations that work to protect the environment, and learning what our response to these issues should be, based on the Lasallian tradition and Church teachings, and through sociological and economic commentaries. REGISTRATION DEADLINE: All registrations must be received by Wednesday, May 15, 2019. Registration is limited to 20 participants. After the program is fully subscribed, participants will be put on a waiting list in order of received registrations. REGISTRATION QUESTIONS: Please direct all registration questions to Michele Beauboeuf at michele@cbconf.org 202-529-0047 x106. CANCELLATION POLICY: Christian Brothers Conference will grant refunds for registration cancellations received on or before May 31, 2019, less a $25.00 administrative fee and a credit card processing fee. No refunds will be granted after May 31, 2019. Cancellation notices must be in writing and sent to Michele Beauboeuf at michele@cbconf.org or faxed to 202-529-0775. Refunds for incorrect or duplicate registrations will be granted, less a $25.00 administrative fee and a credit card processing fee. All refunds will be in the form of a check. Checks will be mailed within three weeks of receipt of the written request.